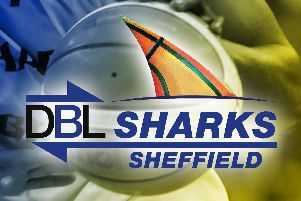 Sheffield Sharks will be looking to bounce back from a surprise opening-day defeat to Manchester Giants when they face a double-header this weekend in the BBL Championship. The Sharks went down 92-87 at EIS Sheffield last Friday after the Giants kept pace with their hosts throughout the encounter before taking the lead late on in the game, taking a rare road win back to Manchester and sending travelling fans home with plenty of cause for optimism for the 2018/19 season. Sharks, however, face Surrey Scorchers, who also lost on the opening night, at EIS Sheffield on Friday night (7.30 tip-off) before travelling south on Saturday for a face-off with Bristol Flyers. Dirk Williams, in his second season as a Shark, impressed despite the defeat to Manchester, with a game-high 23 points, but Sharks registered just 17 points to Manchester’s 27 in a disappointing final quarter to suffer a surprise loss. 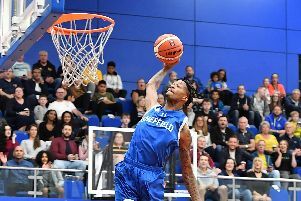 With one team set to end their winless start on Friday night and both hitting the road later in the weekend, momentum will be key for both Sheffield and Surrey with vital BBL points at stake.